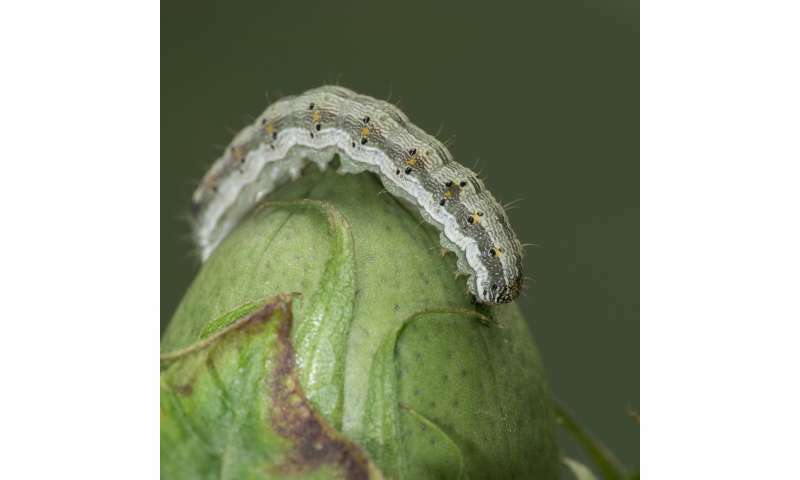 A new study published in the Proceedings of the National Academy of Sciences identifies a dominantly inherited mutation that confers resistance to engineered cotton in caterpillars of the cotton bollworm, one of the world's most destructive crop pests. The study's cutting-edge use of genomics and gene editing signals a new era in global efforts to promote more sustainable pest control. 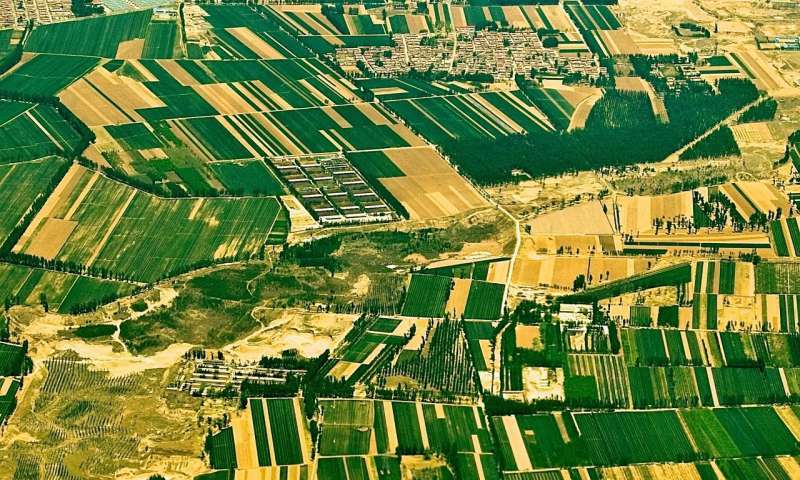 Cotton, corn and soybean have been genetically engineered to produce pest-killing proteins from the widespread soil bacterium Bacillus thuringiensis, or Bt. Non-toxic to people and wildlife including bees, these environmentally friendly Bt proteins have been used in sprays by organic growers for more than 50 years and in engineered Bt crops planted by millions of farmers worldwide on a cumulative total of more than two billion acres since 1996. Entomologists at the University of Arizona, the University of Tennessee and the Nanjing Agricultural University in China collaborated in the three-part study. Their goals were to pinpoint the mutation conferring Bt resistance in bollworms, precisely edit one bollworm gene to prove this mutation causes resistance and discover how the resistance is spreading through cotton fields in China. "It's a remarkable detective story," said Bruce Tabashnik, Regents' Professor in the UA Department of Entomology and co-author of the study. "Without the latest advances in genetic technology, it would not have been possible to find the single DNA base pair change causing resistance among the hundreds of millions of base pairs in the bollworm's genome." For years, scientists have known that insects can evolve resistance to Bt proteins, just as they have to conventional insecticides. However, Bt resistance is inherited recessively in nearly all previously studied cases. This means insects must have two copies of the resistance gene—one from each parent—to enable them to feed and survive on the Bt crop. To combat resistance, farmers plant refuges of non-Bt crops, where susceptible insects can thrive. The idea is the rare resistant insects will mate with the more abundant susceptible insects from refuges, producing offspring that harbor only one copy of the resistance gene. With recessively inherited resistance, such offspring do not survive on the Bt crop. Though refuges do not stop evolution of resistance altogether, they can delay it substantially—particularly when resistance is recessive. But in China, the paper reports, dominant bollworm resistance to Bt is on the rise. Only one copy of a dominant mutation makes a bollworm resistant. Because the genetic basis of dominant Bt resistance was previously unknown, the researchers had to scrutinize the bollworm's entire genome to find the culprit. By comparing the DNA of resistant and susceptible bollworms, they narrowed the search from 17,000 genes to a region of just 21 genes associated with resistance. "But only 17 of those genes code for proteins that are produced by the caterpillars," Tabashnik said, explaining that only the bollworm caterpillars feed on cotton and can be killed by Bt proteins. "In comparing the sequences of those 17 genes between the strains, there was only one consistent difference," Tabashnik said. "There was one position where all of the resistant bollworms had one DNA base pair and all of the susceptible bollworms had a different DNA base pair." This pivotal base pair is in a newly identified gene named HaTSPAN1, which codes for a tetraspanin—a protein containing four segments that span cell membranes. Although the normal function of HaTSPAN1 is not known, many other tetraspanins are important in cell-to-cell communication. Despite nearly 30,000 previous studies of either Bt or tetraspanins, the new study is the first to find a strong connection between them. With the mutant base pair identified, the second challenge was to determine if this single mutation causes resistance. To find out, the research team used the gene-editing tool CRISPR to precisely alter only the HaTSPAN1 gene. When the gene was disrupted in resistant bollworms, they became completely susceptible to Bt. Conversely, when the mutation was inserted in the DNA of susceptible bollworms, they became resistant—proving this single base pair change alone can cause resistance. The final step was to test the hypothesis that this mutation contributes to resistance to Bt cotton in the field. By screening for the mutation in the DNA of thousands of preserved bollworm moths collected between 2006 and 2016, the researchers found the frequency of the mutation increased by a factor of 100, from 1 in 1,000 to 1 in 10. The resistant bollworms are not yet numerous enough to noticeably decrease cotton production in China, but the dominant gene is spreading faster than other resistance genes. Tabashnik's analysis predicts that if the current trend continues, half of northern China's cotton bollworms will have resistance conferred by this mutation within five years. "If things continue on the same trajectory, this is the mutation that is going to cause problems for the farmers in the field," said Tabashnik. It is early enough, however, for farmers in China to change their tactics and ward off Bt resistance. The paper mentions they could switch from cotton that produces only one Bt protein to the types of cotton grown in the United States and Australia, which produce two or three distinct Bt proteins. Tabashnik hopes the new research will spur enhanced sustainability for farmers. "It gives them the information to make constructive, proactive decisions before it's too late," Tabashnik said. By sampling pest populations from year to year, farmers and researchers may be able to learn which methods are most effective for thwarting resistance. Understanding bollworm resistance has global implications because it occurs in over 150 countries and now threatens to invade the United States. "It will be interesting to screen for this mutation in cotton bollworm from Australia, India, and Brazil," said Yidong Wu, a professor of entomology at Nanjing Agricultural University who led the research in China. Of course, the technology to scan genomes is not limited to one species of crop pest. "The data shows that genomic scans will be helpful in monitoring resistance evolution not only for Bt, but for insecticides in general," said Fred Gould, who was not involved in the study but is a professor of entomology at North Carolina State University and member of the National Academy of Sciences.